Buy Diwali gifts online and share your happiness with loved ones on this auspicious day. We have brought you an exclusive collection of the best Diwali gifts online to make your celebrations complete with the happy note. OYC is a one-step solutions store for all your gift requirements and we also have Diwali offers on a wide range of exclusive gifts which could bring ultimate happiness in your lives. Diwali is a five-day festival. The first day of Diwali is known as 'Dhanteras'. To mark the occasion, lamps are kept illuminated throughout at the night, in reverence of Yama, the God of Death. The festival of Dhanteras is also been celebrated to honor the Dhanavanthri, the incarnation of Lord Vishnu. On this day, people usually decorate their workplaces and their and workplaces, and make traditional 'Rangoli' (Kolam) on the entrance, to welcome Goddess Lakshmi. It is considered as auspicious to buy silver and gold on this day. The second day of this festival is, 'Chhoti Diwali' or 'Narak Chaturdashi'. In most of the southern parts they believe, according to mythology, the demon Narakasura(Naragasuran) was killed by Lord Krishna on this day. On the other side, Bengalis believe that the Goddess Kali killed the demon Raktavija on this day. Different traditions are always followed on this day in different parts of the country. However, in common, a custom that is usually followed unanimously on this day is bursting of crackers. People light diyas and lamps in their houses and workplaces. The third day will be the main day of the Diwali which called 'Badi Diwali'. People believe, it is the day when Goddess Laxmi is worshiped and offered the "Naivedya". On the eve of the Diwali, every corner of the house(Mainly Hindus) in the country are illuminated with lamps, earthen diyas, and candles. Colorful 'Rangoli' (Kolam) are used to beautify and decorate the entrances of the houses. This practice of decorating the floor of the entrance is mainly practiced as a tradition of welcoming the Goddess Lakshmi who is believed to bestow the people of the house with wealth and prosperity. The next day, that is the fourth-day 'Annakoot' or is 'Govardhan-Puja'. In the home, usually 50+ different varieties food items are prepared and arranged in a thali(Plate) and are placed before Lord Krishna. It is the common belief of people that buying new things on the day of Diwali will bring home the Lakshmi, which is wealth. People buy themselves and others Diwali gifts, clothes, sweets, decorative lights, and most Importantly firecrackers. In the evening of Diwali, Lakshmi puja is held by the people at their home by lighting diyas. People take bath, wear new clothes and then start puja. After the puja, they distribute prasad and share gifts with each other. They pray to God for a happy and prosperous life. And in the last, they enjoy burning firecrackers and playing games. The celebration of Diwali might vary in various states. People of the northern part of India conduct Puja's only in the evening whereas the people of Southern India will take bath and do pujas in early morning. Some, even before the Sunrise. Diwali celebration remains incomplete without exchanging of amazing Diwali gifts and we offer every kind of online gifts pertained to Diwali in our web page. Send Diwali gifts to your Father, Brother, Grand Father, Husband, Friend or any other male buddy by ordering Diwali gifts online from OYC. Sweets, Gifts, Personalized gifts, Chocolates, Clothes, wallets etc, will be a perfect gift for them. Giving gifts on Diwali is not the recent trend but it’s a century long tradition, which is still now being followed by people from all over the country. Exchanging gifts among friends and relatives on this day will build the relationship and unites the souls. Send diwali gifts to your Mother, sister, Grand mother, Wife, Friend or any other Female buddy to make them happy. Giving Diwali gifts for employees has become a business trend now. 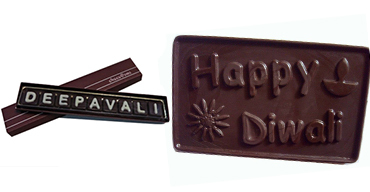 Buy corporate Diwali gifts to your clients and employees and boost them up, it will motivate them. Diwali sweets, chocolate gifts hamper, assorted dry fruits, corporate gifts, gift vouchers, and many items of utensils and crockery will be the perfect gifts for them. Distances cannot part away from the relationships, break the distance barriers and excuses to your dear ones and send various kinds for Diwali gifts online from OYC. 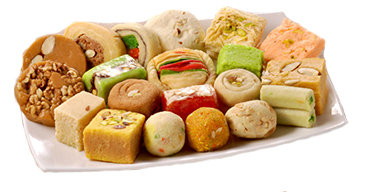 Diwali Sweets - Sweets are very special on Diwali. 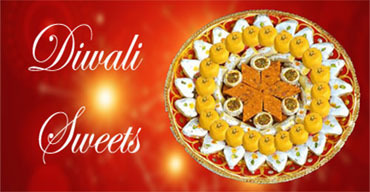 This festival will leave incomplete without sweets, Sending sweets for Diwali to your loved ones will bring sweetness to the relationship and increase the bond. 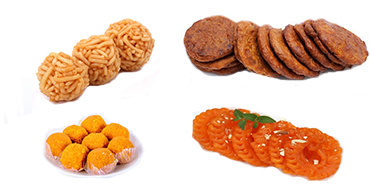 Now order varieties of Ghee sweets, dry fruit sweets, sugar-free sweets, traditional sweets, milk sweets, combo sweets, and special sweets from OYC. Dry Fruits - Dry fruits have always a special place in people’ heart. Some keep fast on this festival so dry fruits will be the best gift to them, it also considered as the rich gifts. Now order Assorted dry fruits, walnuts, green raisin, mixed dry fruits with box, dry fruits hampers, roasted Pista, Kaju etc to your dear ones. 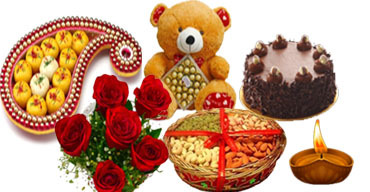 Diwali Gift Hampers -Gift hampers will bring a mixed happiness, it will include all varieties of gifts which will be suitable gifts for all kinds of people. Send Diwali gift hampers to your loved ones. Diwali Flowers - A bouquet of flowers will make one of the most affordable and yet thoughtful Diwali gifts. Flowers will express our warm wishes to our dear ones. It also decorates the places. Gifting flowers on Diwali will a great idea. Diya Online - A diya(Vilaku) is also great when you want to meditate. Its always lights up to help you connect with your inner-self better. It also signifies the start of good things, the lighting of Diya signifies the triumph of goodness. Order diya online in OYC. Decorative Pieces - Home Decoration items will be special gifts on Diwali, people love to renovate their houses on Diwali so when we give them the decorative gifts it would to perfect for them. 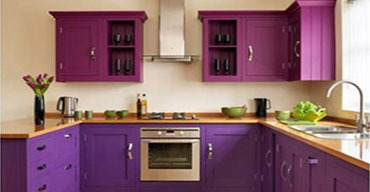 Send home decorative pieces to your loved ones. Spiritual gifts - Indians have great belief on God’s and spirituality, Idol of god’s and related items will be the suitable gifts for all. Now you can order idol of Goddess Parvathy, Goddess Saraswathi, Goddess Laxmi, Lord Ganesh, Lord Krishna, Mangal Kalash, Goddess Durga online, – which are said to bring good luck and will be much appreciated during Diwali. Spiritual gifts will bring peace and happiness in times of needs. Diwali Thali - Worshipping goddess Laxmi, Krishna and is most important in the festival. Thus Diwali pooja thali reflects as the best gifting option. Celebrate the festival of lights by ordering Diwali gifts online and passing it on to your friends and relatives across India and Spread the Joy. Suprise your close ones by sending them amazing gift products to their doorsteps. You can select from our wide assortment of Diwali Gift products which include Sweets, Savories, Chocolates, Dry fruits, Flowers and cakes. OYC provides you an exclusive range of Diwali gift combos online and reduces your time of choosing the perfect set of products to send to your beloved ones. We assure you the timely delivery your diwali gifts ordered online will reach its destined person. Use the promo code 'OYCCART' and FLAT50 Rupees off on all Diwali gifts online and also other products in OrderYourChoice. If you are a to buy in OrderYourChoice for the first time then use the Promo code 'FIRSTBUY' and get Flat 5% OFF on your total cart Value. Sounds great, isn't it? Browse through our list of Diwali gifts online and have a great Diwali festive season! I have to send Diwali gifts to my relatives all over India. Can you deliver to all? Yes. We do deliver Diwali gifts across India. Be it Sweet, Flowers, Chocolates, Cakes or any other personalized gifts. We can deliver it. 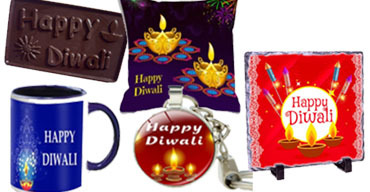 Just place the order for Diwali gifts online in OrderYourChoice. Can you deliver Idols of Gods in Jaipur for Diwali Gifts? Yes. We can deliver the Diwali special Idols in Jaipur. OrderYourChoice provides you with varieties of Idols to celebrate your festivals, we deliver across India. Sent this Diwali Thali combo to my relatives in Hyderabad. They got the parcel right on the day of Diwali and they said it was good and thanked me. Thank you oyc for delivering the Diwali Gifts perfectly. The Royal diwali gift combo is very great. Thanks for the timely delivery on the day of Diwali. It was very helpful. Quality was too good. Keep it up. Ordered This combo and send to my relatives across India and got one myself as diwali gift. It was so good. the taste was amazing and got the delivery as scheduled. My relatives across India recieved the gift box and said they liked it. Thank you very much oyc. Thanks for delivering these awesome diwali gifts right on time. The dry fruits and and Chocolates were so delicious and good. Timely delivery was certainly helpful to send the diwali gifts to my friends ahead of Diwali. Good work oyc.